Mexico’s President-elect Andres Manuel Lopez Obrador was stranded on the tarmac in Oaxaca, Mexico, Wednesday when his flight was grounded for hours because of bad weather. Add Mexico as an interest to stay up to date on the latest Mexico news, video, and analysis from ABC News. 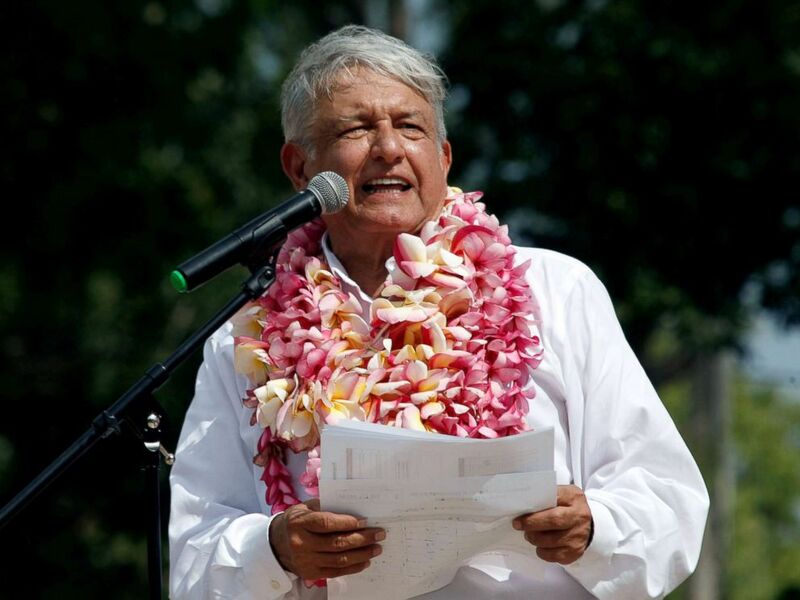 Obrador, who famously shuns the use of the country's presidential jet, was headed to Mexico City on a commercial flight. 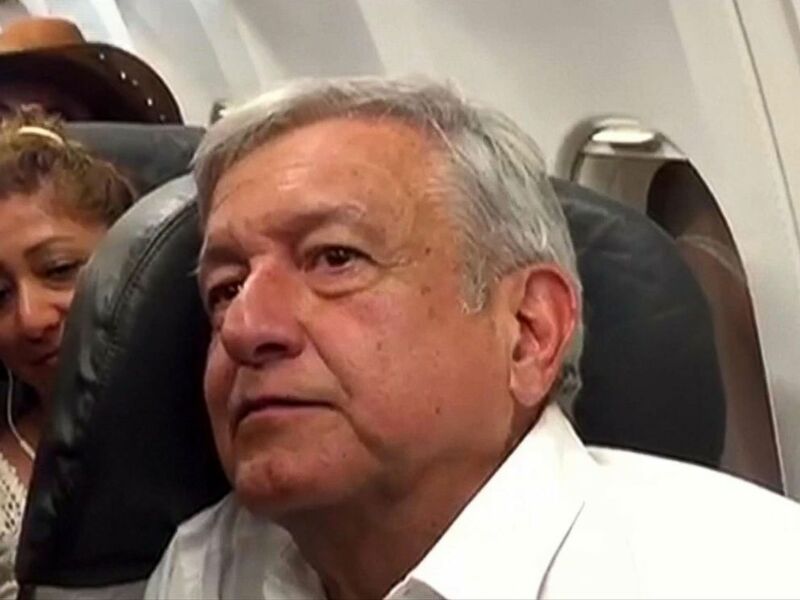 “I would be embarrassed, my face would fall from shame of boarding a luxurious plane in a country where there is so much poverty,” Obrador said in a video taken from the plane. Mexico’s president-elect Andres Lopez Obrero was stranded inside a commercial flight in Oaxaca, Mexico due to bad weather. “I am not going to change my mind because of this,” he added. Bad weather forced the airport in Mexico City to temporarily shut down, Reuters reported. 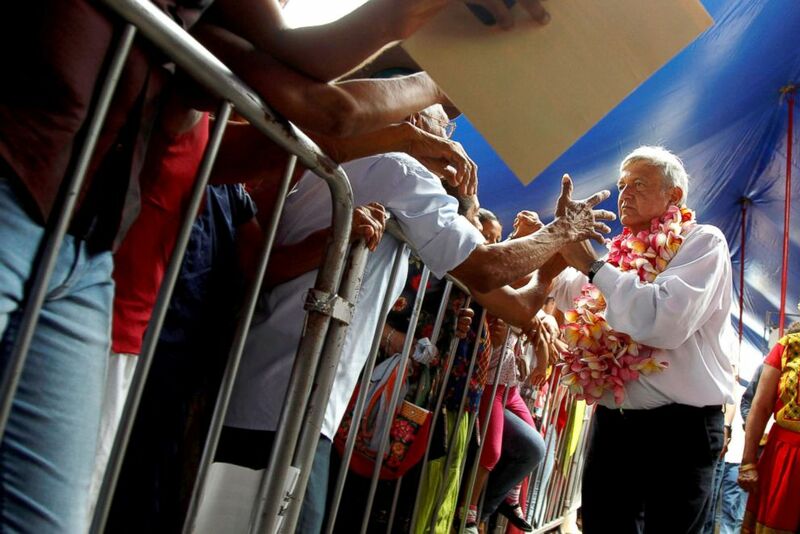 Mexico's President-elect Andres Manuel Lopez Obrador arrives to a rally in Juchitan de Zaragoza, Mexico Sept. 19, 2018. Obrador won Mexico’s presidential election in July with over 50 percent of the popular vote, marketing himself as an anti-establishment candidate who would fix the country’s corruption and violence. “Power is humility and power only makes sense and it converts into a virtue when it is used to serve others,” he said in the video.